The complete 73rd series of the hugely popular BBC Radio 4 panel game, chaired by Nicholas Parsons. 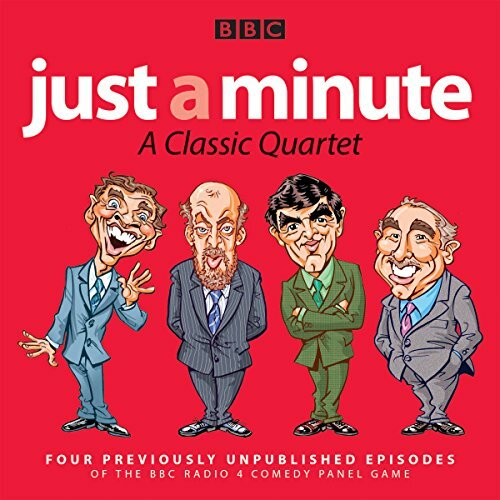 Just a Minute is a national institution which has entertained generations of listeners since it was first broadcast almost 50 years ago. Its winning formula - contestants must speak on a given subject for one minute without hesitation, repetition or deviation - is a surefire recipe for hilarity. In these eight episodes - including two special editions recorded at the Edinburgh Festival in August 2015 - the topics range from street performers, a trip to Ikea and the Hippocratic oath to Kipling, caravanning and 'the first cheque I ever wrote'. Regulars such as Paul Merton, Gyles Brandreth and Sheila Hancock return for more fun and games while other players include Janey Godley, Josie Lawrence, Andy Hamilton, Sue Perkins, Josh Widdicombe, Tony Hawks and Tom Allen. As ever, unflappable chairman Nicholas Parsons presides over events as the players race against time to beat the clock and win the points.